Capture Spring at Ridgedale Center! Join us in welcoming Spring with our free selfie kiosk experience. 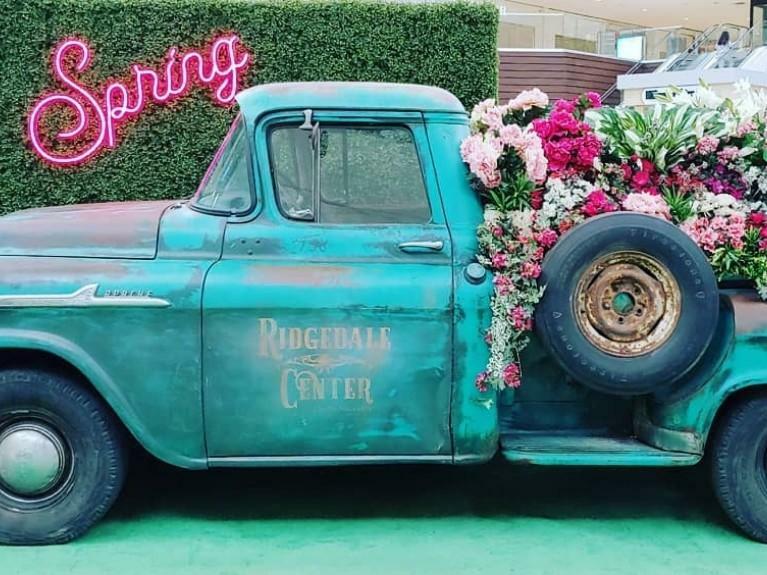 Featuring a vintage 1959 Chevrolet Apache truck that is overflowing with the flowers in colors of the season, guests can capture the moment through a new selfie kiosk. Photographs captured by the kiosk are emailed instantly to the email address provided. Don't forget to share your selfies on social media with #RidgedaleCenter for a chance to be featured on our Instagram channel!